HAMAO-kun new appearance wearing striped tops wearing work pants! ! 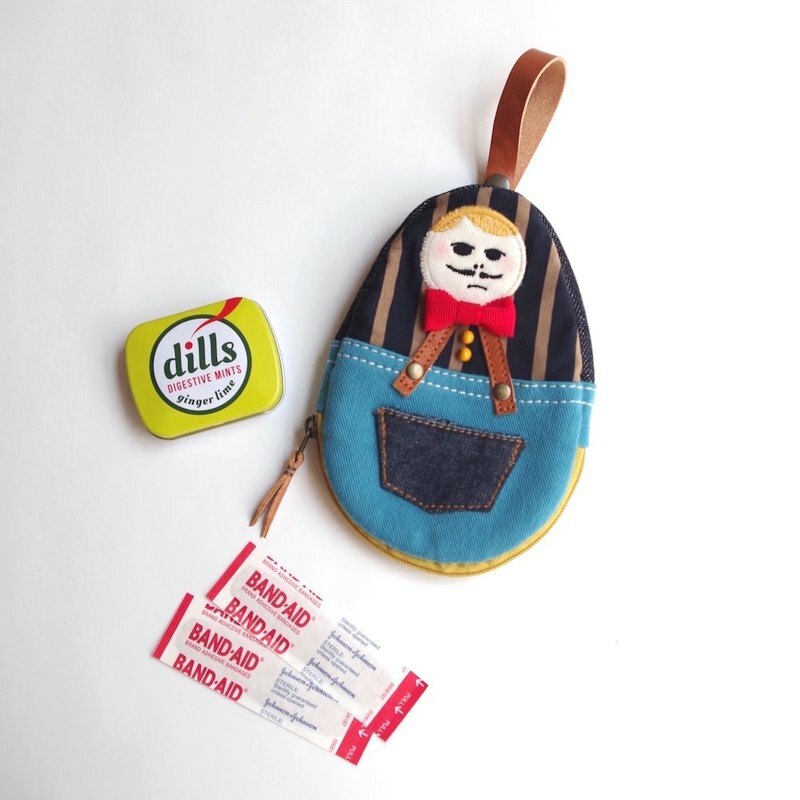 It is a mini pouch of Matryoshka "HAMAO (Hamao)" wearing work pants with suspenders. I made remake of various clothes such as striped cut and sewn, color denim etc and Hagire! This pouch is perfect for storing small items that will get lost if you put it in the bag as it is, such as shop cards, digital cameras, storage of cords that get tangled, lip creams, accessories, drugs and stamps! Because it is a thin type pouch, it is easy to store it in handbags, The head part strap is using cowhide leather. Since it has a snap button it can be hooked on the handle or loop of the bag. Colorful zipper and lining are also points * (Lining may differ from photo and color.) Come even with a tickle gift! ! Please feel free to tell gift wrapping ♫ 【size】 Vertical: about 15 cm Horizontal: approximately 10 cm in wide place Thickness: about 1.5 cm Strap length: about 7 cm in a looped state iPhone 6 will not enter. ※ HAMAO goods will be remake item so the attitude of the handle and the color of the lining, The leather color of the strap attached to the head part may vary depending on the product. ※ Because it becomes a remake item it will be limited quantity.